It’s true, The Lion King is getting a live-action reboot, and it’s directed by Jon Favreau. Thisphotorealistic computer-animated remake of Disney’s traditionally animated 1994 film of the same name features the voices of Donald Glover, Seth Rogen, Chiwetel Ejiofor, Billy Eichner, John Oliver, Keegan-Michael Key, Beyoncé Knowles-Carter, and James Earl Jones. Principal photography began the summer of 2017 on a blue screen stage in Los Angeles, and the film is scheduled for an official release on July 19, 2019. 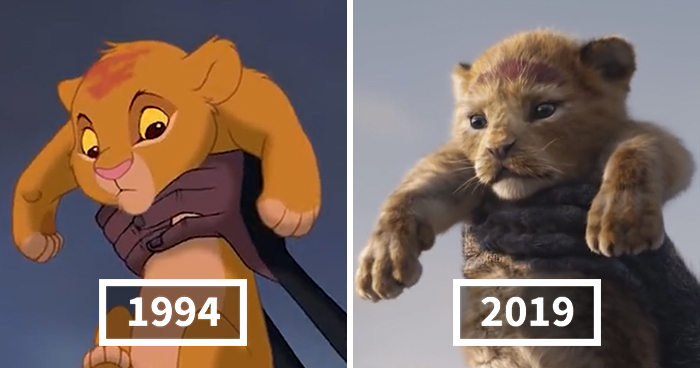 Read more to see how this modern remake compares to the 1994 animated version. The face you see above is a reconstructed “Stonehenge Man” who once lived 5500-years ago. Forensic analysis enabled scientists to create the most lifelike model yet of an individual from British prehistory, and their work also reveals how he lived, ate, along with possibly shedding some light on the origins of Stonehenge itself. This well-preserved skeleton was first discovered in an elaborate tomb in the 1860s, the face was been brought to life by Swedish sculptor Oscar Nilsson, using information from bone and tooth analysis. After measuring the length of the man’s bones, the skeleton’s weight, and his age, it’s estimated that he died between 25 and 40 years old. Continue reading to see more historical faces reconstructed. Click here for a few bonus images. 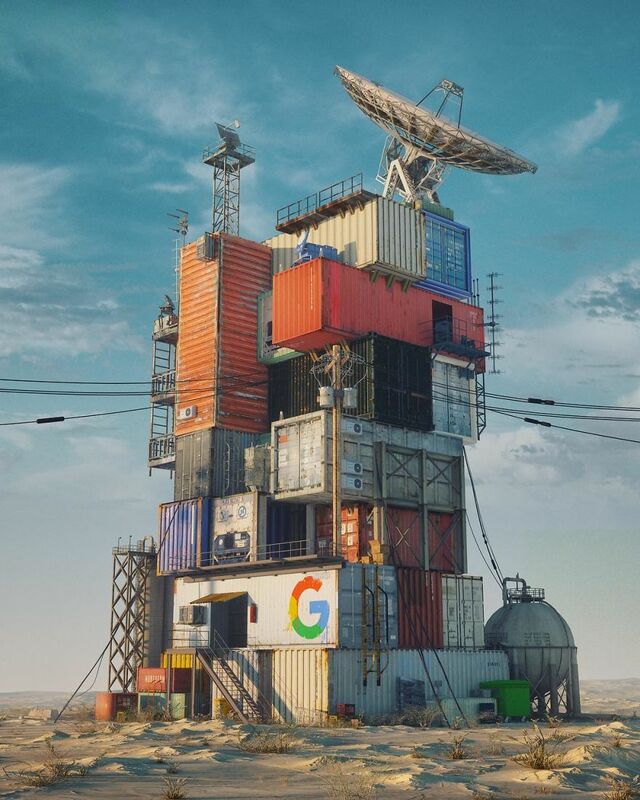 Digital artist Mike Winkelmann has created one surreal image each day for the past 10+ years to help improve his skills, and the ensuing images are amazing to say the least. “I am currently on my 11th round of everydays…This year I’ll be doing a render everyday using Cinema 4D and mostly Octane, instead of trying to learn new software, will be focusing on some of the fundamentals like color, composition, value, etc.,” said Winkelmann. Continue reading for more pictures and a bonus video. Star Wars: The Last Jedi may not have pleased the series’ entire fanbase, but one thing can’t be denied, the amazing visual effects by Industrial Light and Magic. The team has released two new behind the scenes videos documenting what went into creating the scenes, like the opening bombing run. The opening battle shows Resistance starfighters battling a First Order fleet, and director Rian Johnson combined practical hanger sets as well as an A-Wing fighter with larger digital sets and spaceships in the scene, and then layered in explosions effects. Continue reading for the second video and more information. Many have seen the original 1982 Bladerunner film, and more recently, Denis Villeneuve’s sequel. Similar to the original release, the director went with miniatures rather than rely solely on CGI for all the special effects. “They’re really bigatures – they’re not miniatures. They’re massive buildings. They’re just stellar pieces of art,” said Pamela Harvey-White, the on-set production manager. Continue reading for another video, more pictures and information. In the near future, advertising agencies may be able to generate the perfect model for whatever they’re marketing, thanks to artificial intelligence. NVIDIA’s latest research project, titled “Progressive Growing of GANs for Improved Quality, Stability, and Variation,” shows why. This system utilizes two neural networks to generate artificial portraits of people who don’t exist, based on real celebrities. Continue reading for more pictures and information. Marvel’s Deadpool is basically the eighth installment in the X-Men film series – starring Ryan Reynolds, Morena Baccarin, Ed Skrein, T.J. Miller, Gina Carano, Leslie Uggams, Brianna Hildebrand, and Stefan Kapicic – where antihero Wade Wilson (Deadpool) hunts the man who nearly destroyed his life while also trying to reunite with his lost love. For those who don’t already know, this film made extensive use of computer-generated imagery, especially in the freeway traffic scene where Colossus and Negasonic Teenage Warhead show up. Continue reading for more cool behind-the-scenes images from famous films. Click here for a few bonus images.